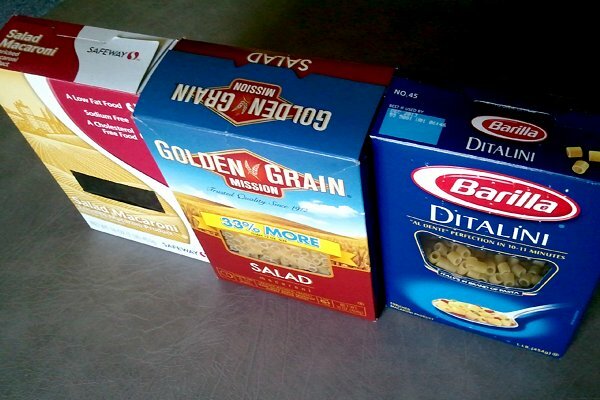 I like to make macaroni salad for summertime picnics or lunches. We were running low on macaroni, so Lucy picked up a box while at the market. Oh, look! 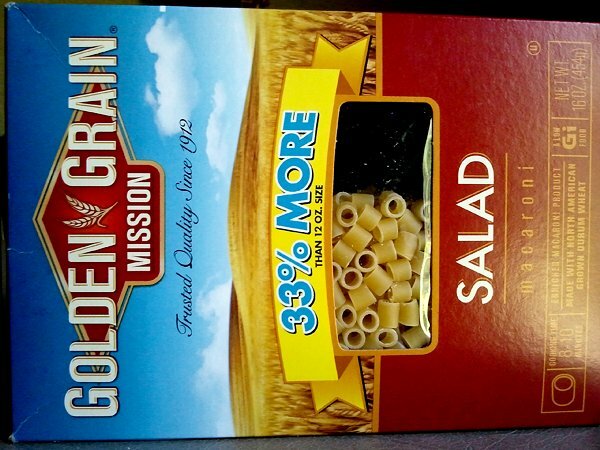 This box says "33% more", so let's get that one. Compared to the boxes we had bought before, the new box was clearly larger. Well, that's to be expected, right? 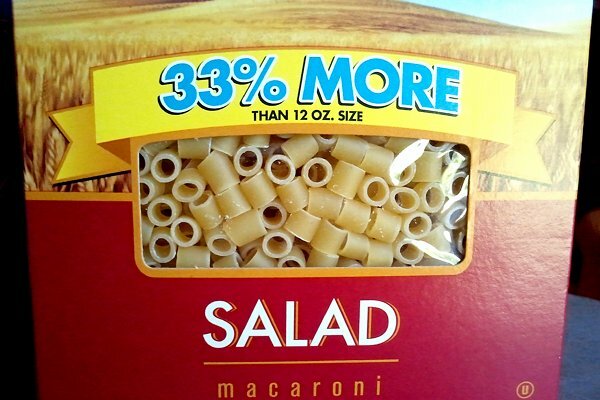 After all, it does contain 33% more macaroni in it, so it has to be larger. 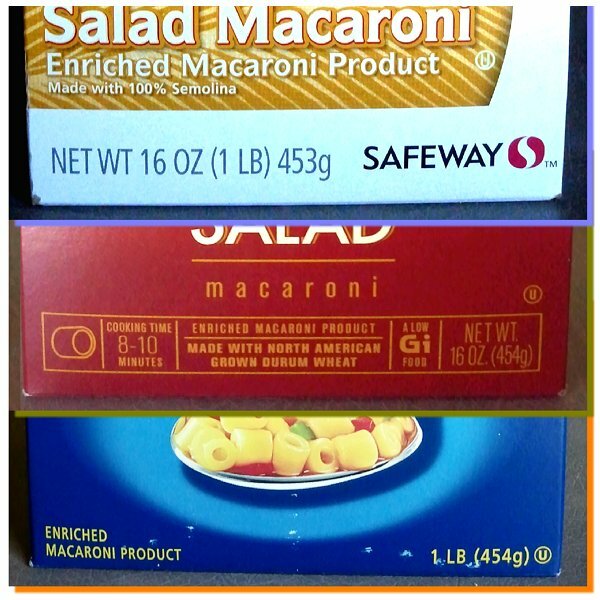 Hold on here . . .
. . . closer examination reveals . . .
. . . all three boxes contain the same amount of macaroni ! But wait . 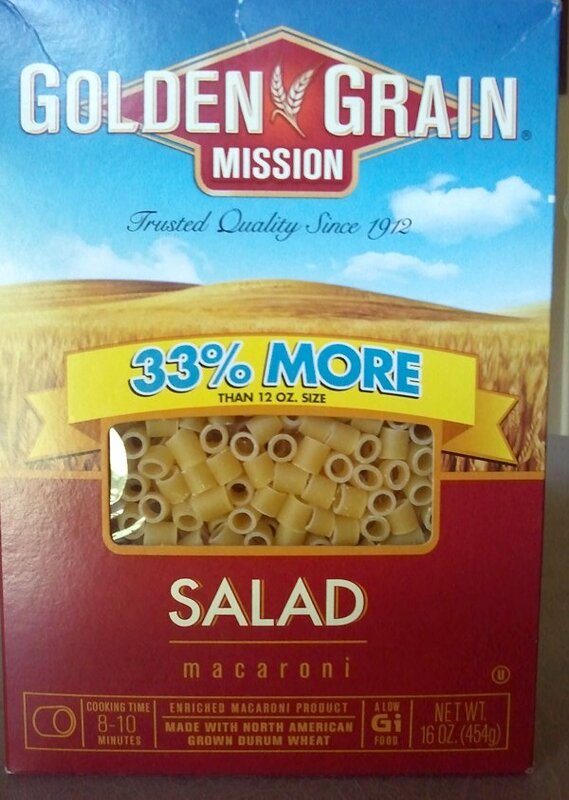 . . doesn't the box say it contains 33% more? than 12 oz. size ! Obviously, 16 ounces is 33% more than 12 ounces; that's simple mathematics. But there's no 12 oz. boxes on the shelves, and this box isn't even 33% more than the smaller boxes. So if this box is bigger than the old box, how can it not contain any more macaroni than the smaller boxes? Is the box only partially full? This new, unopened box is barely more than half full ! So why do you suppose they packaged it this way? The contents would have fit in a regular 16 oz. box, so there must be some reason they used a larger box, half-filled it, and plastered "33% more" in bold print across the outside, right? I mean, other than sleazy marketing.